Headaches are often brushed off since we tend to just power through them. But frequent headaches may not only be a slight discomfort but can also be completely a nuisance. So the less you experience them, the better not just for you but for everyone else. The problem is, people hardly ever seek medical attention for headaches unless they become incapacitated with it. As a result it can be hard to manage and may develop into a migraine. Migraine is not only a very painful condition but also a frustrating one. No one would wish to have it for any reason at all, not even for the reasons stated above. But even if it may seem like it’s a hopeless condition, it’s not entirely helpless. There are some therapies that proved to have helped ease the pain, it’s just important to keep looking for a treatment that works best for you. Nowadays, if you don’t have migraine you’re lucky, considering all the stressors around that trigger the attacks. And if you’ve been taking pain killers for your migraine, you probably know by now that that doesn’t really get to the root of the problem, it simply numbs the pain. Before you lose hope, 20 sessions of electro acupuncture actually lessen migraine episodes. Chiropractic therapy, like acupuncture, is also an alternative, natural, pharmaceutical-free form of treatment for a variety of complaints, conditions, and injuries. While they both address pain reduction, they do it in different angles that complement each other. In chiropractic, pain is often treated through spinal manipulation, which is intended to correct the alignment of the skeletal system and joints. If your headaches are coming from tight muscles or subluxation around your neck area, which is often the case, then spinal manipulation is a great way to deal with it. Correcting physical misalignments in the body can not only help to treat conditions that contribute to pain, but can also improve the circulation of blood and the communication of the nervous system throughout the body. Essentially, chiropractic addresses the “mechanical” malfunctions of the muscles and skeleton, while acupuncture improves the chemical, nervous, and neurological processes. A scalp massage is a delightful way to de-stress from the top down, offering a soothing treatment for recurring headaches when it is performed properly. Not only that the massaging motion help loosen up tight areas on your head and neck area, but it also promote proper blood circulation which releases a lot of tension and eases the pain. Plus, choosing the right oil increases the effectivity of the massage. Essential oils are the base for successful massages for several reasons. First, oil reduces friction on the skin during the rubdown, so the massage is less painful. For a scalp massage, essential oils are primarily used for aromatherapy, releasing calming scents into the air to inhale during the session. Some of the best oils for treating stress, and stress-related headaches, are chamomile, lavender and rosemary. We could try really hard but we can’t avoid stress altogether. But if stress is what’s triggering your migraine attacks, we can do some relaxation tricks to keep our stress level at a minimum. Diaphragmatic breathing, yoga, or music therapy help calm the nervous system so we don’t get consumed with tension. The slow, mindful movements of tai chi and yoga ease muscle tension and stress, which are major migraine triggers. Both of these mind-body practices are also effective for improving sleep, which can lead to a decrease in headaches. 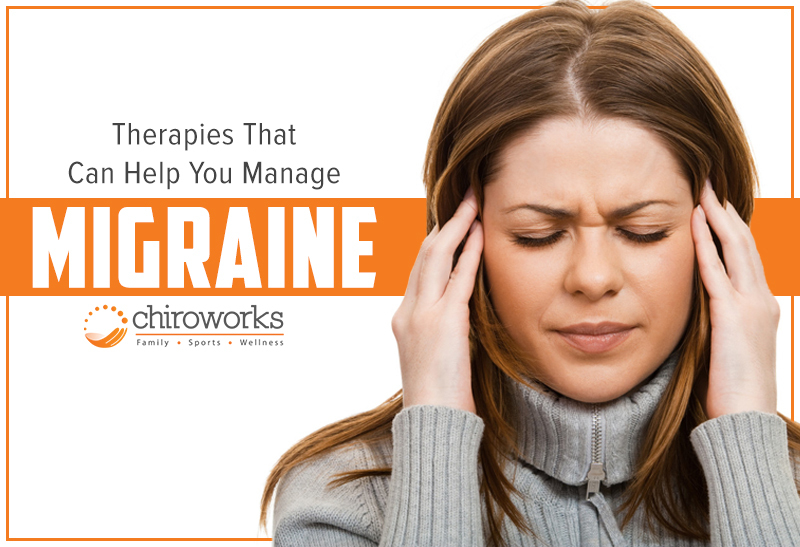 Also, yoga therapy, in combination with conventional migraine therapy, led to less frequent and less painful migraines than conventional therapy alone. Most people overlooked vitamin deficiency because people typically focus on direct and popular culprits like of migraine like stress, lack of sleep or being sensitive to certain foods. Your body needs a lot of different kind of vitamins in order to stay healthy. Give it too much of one vitamin or too little of everything and your body struggles with vitamin imbalance resulting to a lot of health issues like migraine. So making sure you have balanced diet so that your body gets adequate amount of vitamins that it needs is crucial. Taking supplements helps fill areas where you’re lacking too. 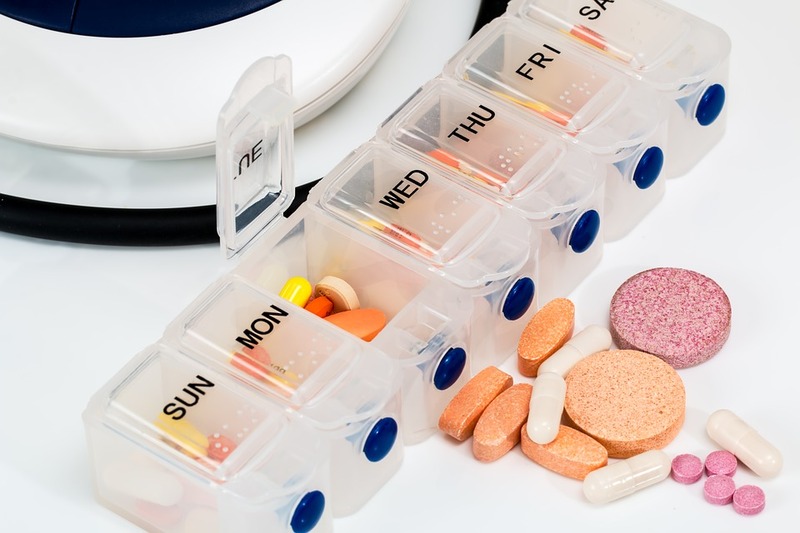 For instance, taking supplements with melatonin, a hormone that helps promote sleep, was as effective in preventing migraines as the antidepressant amitriptyline without the side effects. Just remember not to rely on supplements alone, well-balanced diet full of lean meats, healthy fats and of course fruits and veggies!